You won't want to miss out on this hidden gem conveniently located in sought after Fort Mill, SC. 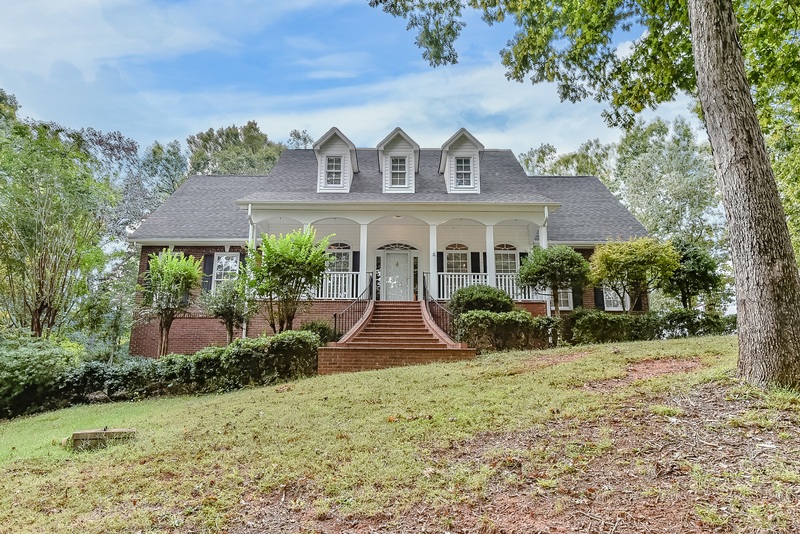 This one owner, custom built home is tucked away on a private 1.74 acre cul-de-sac lot! This beautiful home offers new hardwood floors, new carpeting, new tile, fresh paint throughout & new stainless steel appliances. In addition, it offers a spacious master bedroom on the main, a main level laundry and many high quality finishes. This home has an oversized, private deck with hot tub, an oversized garage, covered boat/car storage and a 2,107 sq foot unfinished (plumbed) walkout basement! No HOA, top rated Fort Mill Schools & SC taxes! Come fall in love! View the online tour by clicking on the following link: View the TourFactory Tour! Below, you’ll find some things that the seller loves about this home! 1. The view! When I built this home, the view is what attracted me to the lot. I chose the lot for it’s view and found a great builder who built my dream home on my ideal lot. Trust me, finding a builder willing to do the job was not an easy task! 2. Quiet and Secluded. With Fort Mill growing by leaps and bounds,finding a location that is quiet and secluded is becoming much more difficult. 3. Oversize doors for furniture, built to bring in from any direction. When I built this home, it was very important to me to have ease in moving items into the home. I tried to think of everything and because this home is a custom home, I was able to take my wish list and make it a reality. 4. Basement for rainy day play, amazing storage, a workshop and the potential for room to grow! When this home was built, I had a growing family. The basement served us well; allowing the kids to play anytime they wanted to! I also enjoyed the basement for storage and a workshop. Having the option to build more finished square footage was always a good option to have. 5. Conduit shoots from attic to basement for any type of wires to connect. Like I mentioned, I tried to think of everything! 6. Master Closet – light comes on when open door. Enjoyed not having to constantly search for the light switch, especially when my arms/hands were full! 7. French doors in basement and option to back right up to door made my life a whole lot easier. Always considered adding a driveway to that area of the home and it was great to have that option! Also (because I couldn’t stop with just seven! ): (8). High callings. (9). Power outlets (more available than code/standards called for) (10). No HOA. (11). Location! I have such amazing access to I-77. Even as Fort Mill has grown, my commute is still quite simple! I love this location. Have questions? Looking to buy or sell or just have questions? Call me today at 803-431-0768!